“Cleanliness is next to Godliness” is just not a common saying but in practice too it is found that when you keep your business place clean, you get better response from customers. Whether you own a small restaurant or a big multinational, it’s important that you do not ignore cleanliness of your workplace and that includes window cleaning too. 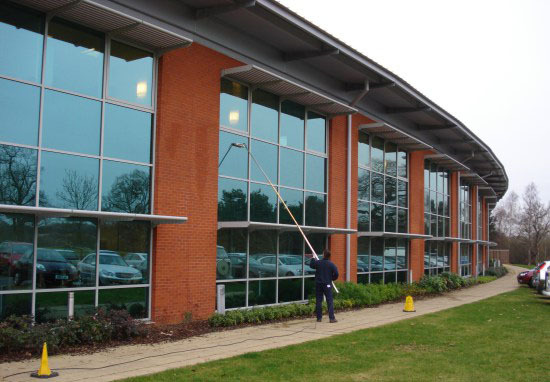 Commercial window cleaning in Oxford or any other location is important as there are many benefits from it. Let’s find why commercial window cleaning is so important. Consider yourself as client of some other business. Now when you reach their office and find that the window glass is full of dust and bird’s droppings then what will be your reaction for that concern? Will you like to enter or think twice before you enter the office? Do you want the same reaction for your clients or customers? 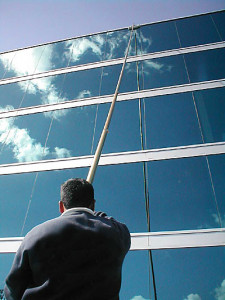 If not then call HD clean UK for commercial window cleaning to ensure that your windows are clean. Clean windows can change the ambience of any place. Whether it’s any office, shops, school, restaurant or any other business, clean windows always have their impact on customers. You will feel fresh with clean windows around and if they are dirty, then you will feel gloomy and this is true for your employees too. Yes, even your employees who come to your place every day will not like that they work inside an office that has lowlight. When your windows are not clean then light cannot enter the office and the interior will not be bright. Everybody loves to work in sunny and lively environment and this is possible only when you conduct commercial window cleaning on regular basis. Check also our carpet cleaning services. • You and your employees can get fantastic and clear view of cityscape or landscape. • When windows are clean you are able to maintain proper hygiene in your workplace and clean environment makes your employees feel energetic. • When windows are clean, then sunlight can enter your office or restaurant easily. Thus, the heat circulation inside your workplace is better and heat efficiency too is increased. 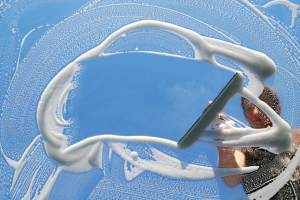 • Upon cleaning the windows on regular interval you ensure that the glass is not degraded. It increases the longevity of your window glass. When you get the windows of your workplace cleaned by professionals like HD Clean UK, you can be sure that they are spotless and shining. Professional cleaning ensures that you get the benefits of commercial window cleaning as mentioned above. Being professional they have the required equipment to clean the dirt and debris that gets collected in the windowpane overtime. Moreover the window cleaners that these professional companies send are expert in window cleaning so they can make sure that windows of your office or restaurant or school are clean. You can get their services in various locations like Swindon, Cheltenham, Bristol, and Oxford.